Juventus are a side known for the brilliant way they defend and how ruthless they can be in stopping the opposition from attacking and playing beautiful football. Not only do the defenders do their job at the back effortlessly well, but they do it with passion, style and unmatched determination. 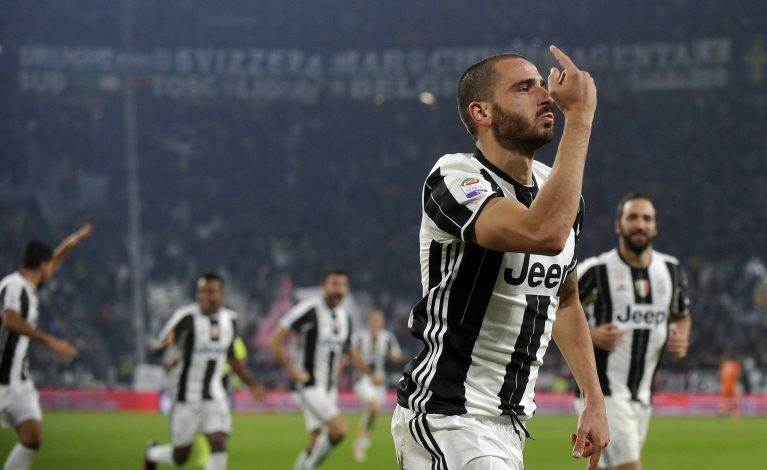 One of the main men that have helped the Old Lady become the champions and the best team in Italy in recent years, has been their star centre-back, Leonardo Bonucci. The player arrived at the club in 2010, and took no time in settling in as a permanent starter for the side. He soon went on to form an unbreakable partnership with Giorgio Chiellini and Andrea Barzagli as a part of a dominant Juventus side. The Italian has won six Serie A titles with the club in the past six seasons, and has also guided them to two Champions League finals in that period. However, reports from many media outlets and websites have mentioned that AC Milan could well be lining up a shock move for the player this summer. The fallen European giants have been on a mega summer spending spree, and bringing in the experienced Italian will surely be the best signing of their window. Juventus are currently assumed to be demanding €40m for their star defender, and given Milan’s mission of bringing in talent to take them back to the top, the value should not be a problem. Bonucci was once an Inter Milan player during his younger days, but for the sake of AC Milan, that will not come in the way of him deciding to make a switch back to San Siro.